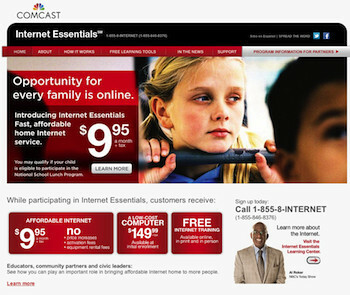 How fast is Comcast's $9.95 Internet Essentials Plan? 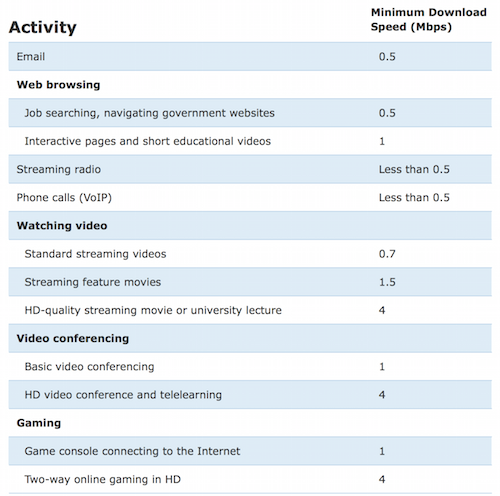 How fast is Comcast’s $9.95 Internet Essentials plan? Is it really high-speed broadband? Comcast’s Internet Essentials delivers discounted cable internet to families with children who need to get online at home in order to do their schoolwork. A family qualifies by having at least one child who qualifies for participation in the National School Lunch Program. Some activists pan the program, saying the connection is too slow. Others praise the program because millions of families cannot otherwise afford internet access for their kids. We are firmly in the latter camp. While we agree the speeds are on the lower end of the scale, they are still quite fast for only $9.95 a month. And they are without a doubt fast enough for any schoolwork, and even for a movie after Johnny finishes his homework. Download speed is 5Mbps, with upload speed clocking in at 1.5 Mbps. When Comcast began the program in 2011, the download speed was just 1Mbps. In the fall of 2012, they increased it to 3Mbps download. In September of 2013 Comcast raised it to the current 5Mbps. The Federal Communications Commission used to consider 5Mbps as a “broadband” speed until 2015. Since then, the FCC has upped the minimum requirements for the broadband designation from the 4Mbps/1Mbps threshold to 25Mbps/3Mbps. There are a number of broadband activists that jump on us for saying that Internet Essentials is fast. Of course its speed is not competitive with other more expensive plans available, but we’ve always said that Internet Essentials is fast “for the price.” You can get several times the 5Mbps speed with a standard account at Comcast. But, you are also going to have to pay many times the $9.95 price of Internet Essentials. At ten bucks a month, unlimited 5Mbps cable internet access is a steal. Just what can you do with a 5Mbps connection? Remembering that Internet Essentials exists to help children in families without internet get online so they can keep up with other students, there is no question that the speed is sufficient for any student (and their parents and siblings). In fact, even the FCC’s own Broadband Speed Guide, shown here, indicates that a child with Internet Essentials will face no limitations. Might there be some buffering if someone is trying to watch a High Definition movie on a Saturday night when the internet networks are overwhelmed? Sure, that could happen. But watching HD movies on Netflix is not a part of Internet Essentials’ mission. What about the upload speed? Isn’t 1.5Mpbs low? No, it’s not too slow because with the way most people use the internet, it’s only the download speed that really matters. Watching movies, surfing web pages, listening to music…that’s all being “downloaded” to your computer or device. Upload speed becomes important is when a person shares or uploads a large file, such as a big image or video. Or, if there is a teleconference in high-definition. And, there could possibly be some congestions in a multi-player over-the-internet game. But let’s remember the objective of Internet Essentials. It’s to help those kids on the wrong side of the Digital Divide to do their schoolwork at home after school, rather than sending them to computer lab or the public library. That’s if these other options are even available. We say thank you to Comcast for not only introducing this program, but for increasing the speed now twice already. For more information on Internet Essentials, go here. I’m currently living or rather renting a room , for 350 dollars monthly yet I’ve no access to the internet essentials and as only one per household leaves me in the dust any other options for myself ??? Check out ALL the low-income plans and find the one that fits your needs best at the link below, Keisha. Is this wifi service in home? Is it fast enough to use with the “ring” camera doorbell? We have no idea what the tech requirements are for a “ring” camera doorbell. In fact, we don’t know what a “ring” camera doorbell is. Sorry. The data is “unlimited” but after you reach a certain level (in the past it was one gig, but we haven’t looked it up lately), the internet will be “throttled” which means it will be slowed down significantly. But what the hell, Guest, this is meant to be a basic plan, and that’s plenty for most folks who aren’t sitting around gaming all day. I’m here Rockville, MD, yesterday I have activated Internet Essentials with self installation kit. I was test speed many times. Average speed is 18Mbps, upload speed is 2.4Mbps. Amazing fast enough.So I have one question, anyone knows how many data allowed per month? If there is data limited, how much cost after allowed limit? Thanks and sorry for bad English. Unless it has changed very recently, you have unlimited internet. However, only the first 1-3 gigs will be available at that speed. After that if will be throttled down and your speeds will be greatly reduced. You should contact the Internet Essentials customer service team to confirm that. Sad, thank you very much for your prompt answer. “Unlimited” has an interesting definition in the internet access TV business, Teresita. 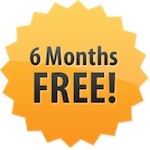 It’s unlimited, but after you reach some level (that level may differ among companies) most of these plans reserve the right to throttle down the speed on all remaining usage for the month. Make sense? If it’s unlimited why do they keep charging me more money for going over one month they charged me almost a 90 dollars ! Are you sure you are enrolled in the Internet Essentials plan, Jamie? Have you spoken to customer service to ask that question. If not, that should be the next thing you do. Hi. I don’t see a date on this article, but comments are recent (2017). Internet essentials website says speeds are 10mpbs right now, not 5mpbs, was it 5 mpbs at the time you wrote the above or does it test at 5? Thank you so much! Some areas are five and other areas are ten, Sarah. Comcast customer service should be able to tell you what speed is available in your neighborhood. Pay particular attention to PCs for People and 4GCommunity. They are great options if nothing else is available. No, we worded that incorrectly. They are great options no matter what. This is a complete lie. The connection is so slow it takes minutes to download a 30 second video. Just so everyone knows, it’s now 10 Mbps. Also, you can seamlessly stream multiple HD movies, play online games, as well as browse on several devices all simultaneously. Coming from a blast pro subscriber I notice absolutely no difference in service except that I save nearly 100$ a month. income and don’t have children? 5 megs cant even watch streaming video besides youtube. What do you mean when you say “upgrade to the next level?” More data per month? Higher speed? Something completely different? I am a 52 year old disabled veteran living on a fix disability income of $1072 a month – is there any low cost high speed “broadband” internet available through Comcast? What is the lowest cost broadband service available to someone in my situation – I was attending Pima Community College and the University of Arizona and intend to return to my studies next semester. Can you send me an application I qualify? what are the specs on the internet essentials Dell desktop 755 that was sent out for this program? I am a low income senior who is being divorced and said husband is turning off internet on May 1st. I need service without a bundle package and in my price range, which is low.